"The Evolution of Cervical Revolution"
This past weekend I had the pleasure of taking Cervical Revolution for the 2nd time. My first go around was the class debut in January of this year. I had also taken the original TMCC course as well a year before that. Based on my cervical-cranio-mandibular ride thus far with its most recent stop in NYC last weekend, I must say that Ron (and Mike Cantrell) have done an excellent job of re-synthesizing this material for clearer comprehension and practical application. A 40 y/o gentleman who is a competitive underwater hockey player presented with R shoulder pain over the past 5 months. His history was unremarkable except that he finished up Invisalign 2-3 years ago but still wore his top appliance at all times during the day and night. He reported the reason behind wearing the retainer was because his teeth would shift without it. He initially tested positive bilaterally for restricted humeral glenoid internal rotation, abduction (pain on the R), flexion (pain on the R), toe touch, straight leg raise, adduction drop test, cervical lateral flexion, and cervical axial rotation putting him in a pattern of a PEC, B BC, B TMCC. He also was weak and painful with the R "full can" test for rotator cuff strength. I started out treatment with Standing Supported Wall Squat and Reach and Modified All Four Belly Lift which resulted in about a 50% improvement in his testing. I then had him remove his Invisalign retainer and his testing went to neutral. However, he was unable to reciprocally find his bite. This means he was unable to make contact on one side of his molars without contact on the other side. Regarding his cranio-mandibular positioning, his mandible was centered and his cant seemed fairly even (it may have been being marginally higher on the right). His right temporal bone was observed to be in a little more external rotation/flexion compared to his left. For those that have taken Cervical Revolution, this indicates he may be in a right torsion cranial pattern but it appeared mild. His bite was Class 1 with canine guidance during full laterotrusion and no interferences bilaterally. This means he had good occlusion and range of motion. Based on these findings, I conjectured that by wearing his Invisalign retainer for so long he essentially locked up his cranium which had a parallel impact on this thorax and pelvis. I then gave him Standing Alternating Cranial Expansion (a Cervical Revolution exercise), taught him how to properly position his tongue to prevent undesirable teeth shifting while encouraging movement in the cranial complex, and instructed him how to practice finding his bite in a reciprocal manner. This will not only get his cranium moving but his neck, thorax, and pelvis as well. By the end of the treatment, he was able to move his shoulder in the directions that previously were restricted and painful with full range of motion and no pain. Furthermore, he was able to hold his arm in a "full can" test position without pain and improved strength. The ability to manage this patient is owed to the concepts I learned from Cervical Revolution. Even if one doesn’t directly treat head, neck, and jaw conditions you will gain incredibly powerful tools that apply to not only this region but below it. After all, our bodies are ultimately connected from the foot all the way up through the head and vice versa. If we want to keep evolving our abilities to help our clients and patients, consideration of integrating the cervical-cranio-mandibular system is essential. Furthermore, this complex supports crucial neurological and sensory matter that impacts system wide regulatory function. Getting the head and neck to properly re-position and synchronize with the thorax and pelvis can not only impact how we move but how our entire neurological system functions. I can’t wait to find out how this relates to the auditory system and vice versa at the spring Interdisciplinary Integration Symposium next year! PRI Integration for Fitness and Movement Courses are next month. Last minute sign ups are going on now!! Ps. Did you notice the ribcage movement while he was breathing in this video? My weekend in Worcester was fantastic! 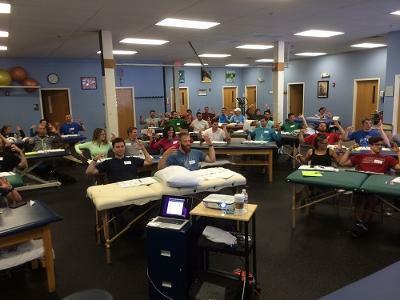 We had 37 professionals meet at Central Mass Physical Therapy and Wellness and Mike Roberts PT was an excellent host. 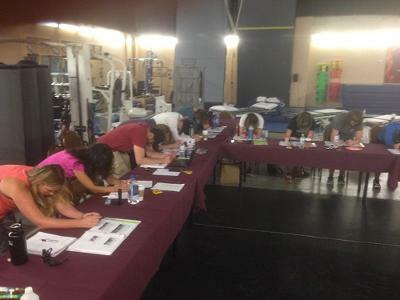 Postural Respiration was the topic and many of the attendees "cracked the code"!!!! I saw lights coming on everywhere. Thank you so much for allowing me the privilege of speaking to you all for two days. See you next year! After a 3 month break in my teaching schedule, I was well rested and excited to get back to spreading the good news of PRI! 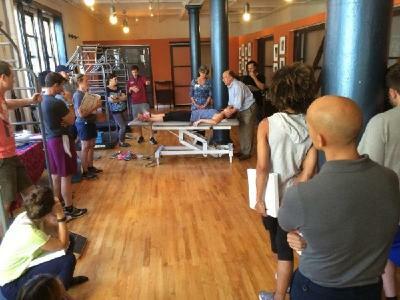 I was met with the challenge of having a large group of new clinicians to the science of PRI. We jumped deep into the rabbit hole of the Left AIC pattern and climbed up some trees in the forest of Myokinematics of the Hip and Pelvis. This was a great group of approximately 40 “PRI newbies”. What a way to get it back going! 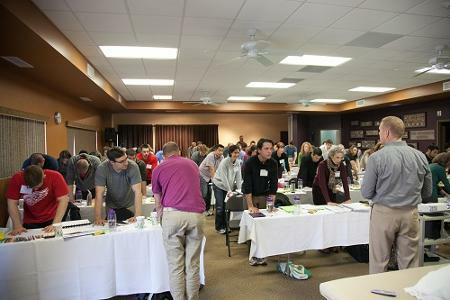 They were patient with me as I shifted their way of thinking about hip pathologies to a more global way of understanding neurological patterns and how that affects position, performance and pain of the hip. Welcome to the #PRINATION! Y’all are “newbies” no more! Teaching at Finish Line Physical Therapy this weekend was so rewarding for many reasons. Spending time with old friends and making new friends at this course was as rewarding as spending the entire weekend with Mike Cantrell. We both learned so much from each other and were fueled by the passion of those who pursue and practice PRI applications. I really enjoy teaching Cervical Revolution and am excited for anyone taking the course in the future regardless if a Georgian or a Nebraska farm boy teach it! KA’ Athletic Training Room at the MGM Grand Hotel was filled with our own version of Cirque de Soleil PRI style this past weekend. Understanding PRI tests to inhibit the right polyarticular chain to facilitate the left were highlighted. It was a great weekend of learning and meeting other individuals passionate about PRI. Thanks Stephanie and Cirque crew for hosting!!! On a recent trip to Manhattan with my family we went out to Ellis Island. With a brief stop at Liberty Island, I was thrilled to see such a sight from Lady Liberty's side. I was beaming when my wife asked me what I was smiling about. I pointed and said "look what leg Liberty stands on." Auguste Bartholdi must have been a postural sculpture. No matter what I pick up to read these days, it seems like this one message is clear: When it comes to the brain, it’s all connected. You can’t separate the visual process from any type of behavior, emotional, physiological, or physical. You also can’t separate the visual process from the rest of the senses. While there are some that are more heavily intertwined than others, the auditory system is so close it can’t be ignored. We use the auditory process, including our sense of vibration, to help us determine our location in the spatial environment around us and to judge the location of objects producing sound and vibration. Vibration is also felt by our proprioceptive sense. Since the two main things we have to orient ourselves against gravity are the ground below us and the space around us, our ability to accurately perceive soundwaves is critical. Besides being the geek that I am about vision and its pervasive role in human behavior, I also have a longstanding passion for music. I grew up playing the piano and added the flute and piccolo as I got older so I could be a part of marching and symphonic bands. I continued this through college, even picking a college largely because of the band programs there. My tastes vary widely, and there’s not really a genre that I don’t have a least a song or two from in my collection. What I listen to depends on my mood, as I’m sure it does for a lot of you reading this. Ever wonder why that is? Kenny Chesney’s “I Go Back” echoes this sentiment. Music can transport you to a different place and time. For some, it even evokes other sensory experiences, such as smells or tastes. Many of us experience emotions when hearing certain songs, which may frequently be related to the lyrics. However, there are other qualities to music that often affect our brains, and therefore our behavior. It might be the beat of the song, including whether it’s fast or slow, subtle or strong. Can you feel the bass “thumping” your chest, or is there no identifiable drum? It may be the pitch of the vocalist or of the predominant instruments; are they singing high or low notes, female voice or male voice, is there a lot of lead electric guitar, horns, strings, piano, or bass guitar? Some of our more challenging patients who have visual-integration dysfunction also have other sensory processing difficulties. This can range from the severe, as in the case of the patient who says “I tend to be sensitive to lots of things, including sound or the feel of materials in clothing,” to the more subtle case, who can’t identify a single symptom but yet can’t manage to use neutrality in a dynamic, functional sense. If we’ve given them the ability to be neutral through visual and physical intervention, and there are no orthopedic reasons why they shouldn’t be able to maintain it, we are forced to look at what other sensory processes might be obstacles. This brings us to the Interdisciplinary Integration Symposium for 2016. It is such an exciting time to be in involved with PRI. For me, personally, it answers more of the “how did I get this way” question that I know many of you have as well. It also gives me a chance to bring two of my passions in this world together, vision and music. For our patients, it’s another tool we are researching and understanding more about every day. For a few of them, it’s already been the icing on the cake. The thing I love about this most is that we know we will never have all the answers to why this amazing brain of ours does what it does; but it sure is exciting to keep trying to find out all we can. PRT Application Deadline Approaching - October 15th! It's already mid-September, which means that the Postural Restoration Trained (PRT) application deadline is quickly approaching. We are excited to welcome Certified Athletic Therapists (through the Canadian Athletic Therapists Association) to apply for PRT this year! If you are interested in applying, applications must be received by October 15th. International applications can be submitted electronically (as one PDF file), however all other applications should be mailed (2 copies). 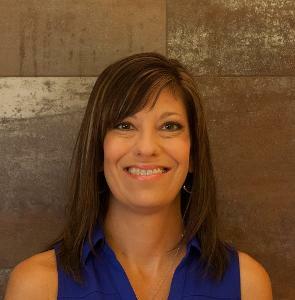 CLICK HERE to find out more information about the PRT credentialing program. If you have any questions, please feel free to email me!